After recently watching an anime series (La Corda d'Oro) which glorified violinists and other classical musicians, I found myself aimlessly wandering YouTube seeking inspiration from those gifted with real musical talent. Several funny cat videos later, I stumbled across something known as the Canon Rock. You may recall the memorable melody of Pachelbel’s Canon from an early snippet of your youth, except some clever composers these days have ‘modernised’ it. No longer will you have that twitchy urge to hit fast forward until you reach the chorus, because now the entire piece is nearly the same degree of awesomeness all the way through. Now, I say almost for a reason. Generally because I don’t think anybody would actively seek out the Easter bunny and a terrorist ninja jamming on violins together. But hey – it’s Japan. A little further investigation reveals that their names are Usako (rabbit girl) and Fukumen (bank heist ninja). They seem to be very talented Japanese violinists, although neither one reveals their face or true identity. I’ve observed that Fukumen appears rather reserved and awkward, which surely brings boundless hope and delight to introverts everywhere. On that note (no pun intended), I know what tends to happen to many people when they set a goal before making a resolutive statement about achieving it: They never get around to it. So, I’ve prepared for the inevitable procrastination and potential failures ahead by creating this post to remind myself of my objective. It’s realistic to think that with regular practice and instruction, you can learn to play the instrument to an acceptable standard. The problem then is that you stay forever average, neither bad nor good. I believe the only way out of this rut is to harness an inner drive to push yourself to the limit. Usually this naturally occurs if you truly love the instrument and possess sufficient dedication and discipline. Otherwise, kaput. After a few idle years, you won't even remember how to play it anymore. Have you ever wondered why a large proportion of the more advanced violinists, guitarists and pianists on YouTube appear to be Asian? I’m going to say it’s due to the traditional culture and the ridiculous pressure put on most children there by irrational parents. Nothing is ever good enough, unless it’s 100% perfection, and even then your only reward is probably just a solemn nod of approval from your Asian dad as he looks up from his newspaper for two seconds. And if you’re lucky enough to have normal parents, chances are you’ll still be expected to get into Medicine, despite dodging the threat of being periodically crushed into a fine paste with a slipper. Seriously though, typical Asian culture is quite heavily built upon iron discipline, family honour and obedience. There is a strong focus on academic excellence, which commonly includes learning musical instruments. The opportunity and environment to excel is often there from the beginning. Unfortunately this means that some children are forced into things against their will, and ultimately may never enjoy the paths they are pushed onto. But poor parenting doesn’t tend to encourage long-term success, so I would say most, if not all, of the gifted musicians that exist today are largely the product of their own determination and ambition. It seems to me that having a small physical build also helps (specifically having delicate fingers), as it gives you an enhanced capability to hit keys with ease and precision. 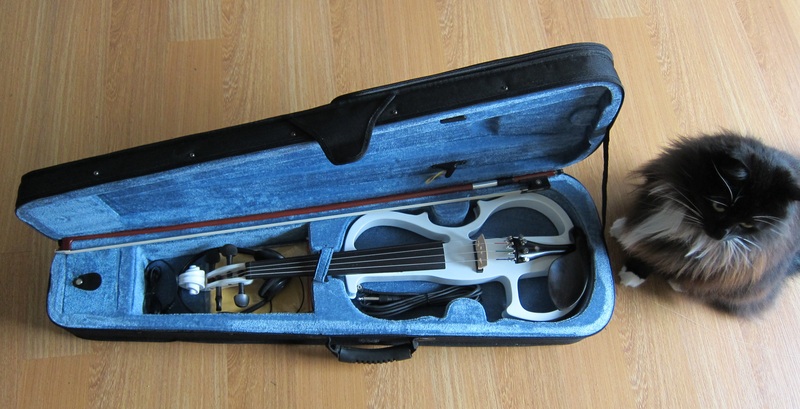 Despite meeting the violin over a decade late, I set out to find myself the least expensive electric violin brand I could find. After reading numerous online reviews and browsing through the selection Ebay had to offer, I finally decided to go for a Cecilio 4/4 CEVN-2W for the low price of just under $150 shipped. Was it worth it? Well, the short answer is… I don’t know. It certainly looks like a playable violin from the outside, and the low budget headphones do work. 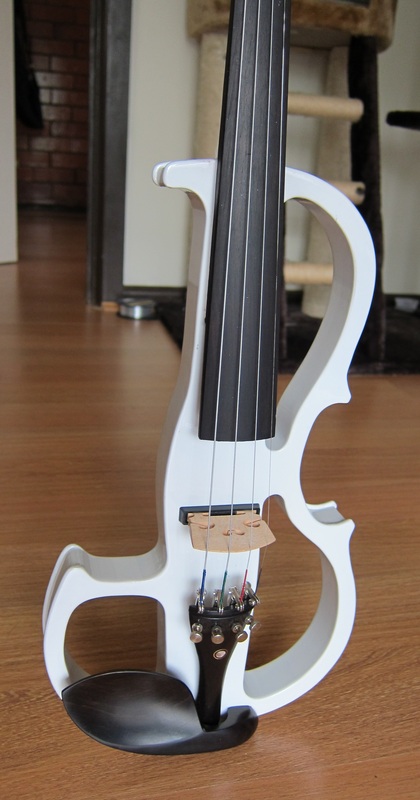 Alas, I have the gnawing suspicion that I have indeed purchased a violin shaped object which will not be functional until half the parts are replaced. But there’s no real way for a novice like me to tell. I’d say it’s probably more likely that I just have no idea how to go about playing an actual note on it. I think the thing that irks me the most is that the violin sounds practically the same with or without the headphones. I wonder if it’s the bow or something to do with the output sockets? Regardless of how well I end up playing the Canon Rock, I hope watching skilled musicians perform encourages you to pick up a musical intrument. Or at least appreciate the work and talent that goes on behind the music.